David Fleming’s posthumous book tour! So, after years of work from me, and decades from David, the day is finally here – the official publication date for his astonishing lifework!! Interview on David Fleming, music and hippos! Last week the wonderful Brianne Goodspeed of Chelsea Green Publishing interviewed me on my late mentor David Fleming and the astonishing gift he left to the world. 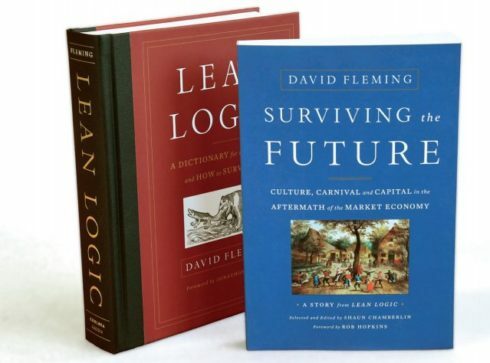 His sudden death in 2010 left behind his great unpublished work—Lean Logic: A Dictionary for the Future and How to Survive It—a masterpiece more than thirty years in the making. In it, Fleming examines the consequences of an economy that destroys the very foundations—ecological, economic, and cultural—upon which it is built. But his core focus is on what could follow its inevitable demise: his compelling, grounded vision for a cohesive society that provides a satisfying, culturally-rich context for lives well lived, in an economy not reliant on the impossible promise of eternal economic growth. A society worth living in. Worth fighting for. Worth contributing to. For more about the man, the books, and the hippo, read on!